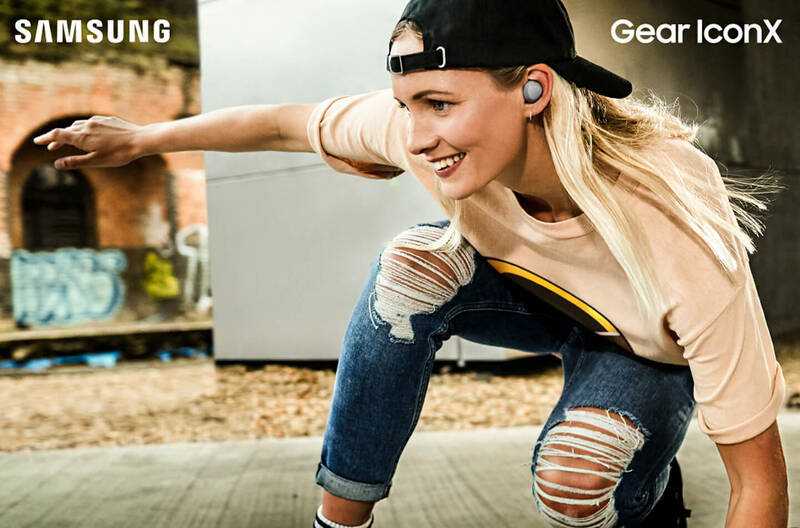 Samsung Mobile Communications Business has published an in depth interview with the designers of Samsung’s Gear IconX 2018. It may be Samsung’s smallest wearable, but the Gear IconX (2018) is big in terms of features and functionality. The cord-free earbuds are engineered to offer hours of music listening – both standalone and connected to a smart device. The Gear IconX can improve wellbeing through its fitness functions, and increase connectivity with seamless touch control. Behind each and every function is a team of designers, who worked tirelessly to create Gear IconX. Product Planner Chahee Park and UX Designer Jungwon Choi of Samsung Electronics’ Mobile Division explain more about the product development. Question: When it came to product planning, what were your priorities and which features were focused on to optimize the Gear IconX’s usability and functions? Answer: This is the second generation of the Gear IconX, and as such we took the time to really listened to user feedback to help us improve upon our first design. A significant priority was to ensure that the Gear IconX is the best companion to smartphones it can be. We wanted to make sure that a smartphone paired to a Gear IconX would be able to provide better and more features and functions than it can with wired headphones. For example, the new earbuds can store and play tracks without being connected to a smartphone. Samsung also designed the Standalone Running Coach with voice guide, which tracks your workout, coaches you by providing real-time updates on exercise and is seamlessly integrated into the Samsung Health app. 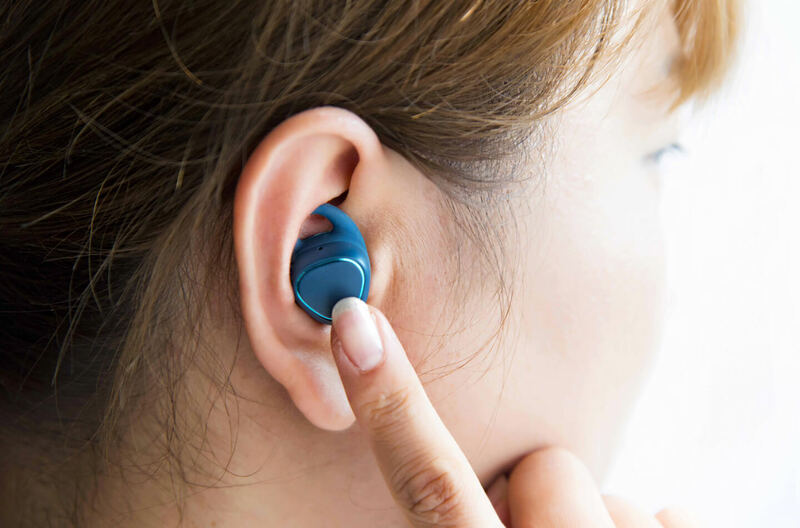 In addition, holding a button will trigger voice command and those who have Samsung smartphones are able to directly transfer their songs to their Gear IconX while connected to Bluetooth. Question: Were there any difficulties in achieving the ideal balance between form and function? Answer: There definitely needs to be a careful balance between form and function. We wanted to fulfill all user needs and the most difficult hurdle was overcoming the basic limitation of size. We worked hard to figure out how to provide a long battery life, without taking away from the design and size, as well as finding the optimum balance among various features. Not having a display was another challenge. The wearable product had to be intuitive and easy to use so that users wouldn’t have any trouble using and adjusting the settings and functions. There were months of discussions and refinements involved. Question: In terms of design, how important was overall comfort? Answer: Well, everyone’s ears are shaped differently, but the design had to suit as many people as possible and a lot of effort was put in to ensure this. We conducted a lot of studies and sought out the most ergonomic design. Our chief concerns were about angles, ear-comfort, stability and fixedness even during high impact movement, and of course size. Since the Gear IconX can now be used for longer than ever, we wanted to ensure that users had complete comfort throughout. Question: What are the advantages of using a touchpad? Can you elaborate further about the process of designing one? Answer: Pressing keys requires a degree of force, which is quite uncomfortable for users while they are wearing earbuds. A touchpad eliminates the need for keys and suits the Gear IconX’s minimalist design. Inputting through keys had to be limited in order to deliver all the functions and features that we wanted to provide. Samsung designers call it the invisible UX – there’s no screen and it can’t be seen. UI feature designers often got together to discuss basic interactions and how to ensure users would intuitively understand how to use the UX. It was important to know how much users can remember and internalize, and how quickly they could adapt to the newly applied touch and hold features. An additional challenge was posed in optimizing the sensitivity of the touchpad. When we say ‘swipe up’, everyone has a different idea of what ‘up’ is. They go sideways, diagonal and straight up. We went through every possible scenario and gathered information through trial and error. We had to enlist the help of hundreds of internal staff in the trials. Question: How was the sound quality of the Samsung Gear IconX achieved? Answer: The kernel design of the Gear IconX optimizes sound insulation and helps to block out any noises surrounding the user. Our greatest efforts were put into making sound output seamless. Since the earbuds are cord-free, and connected to a device via Bluetooth, sound must not be staggered or cut off. We wanted to minimize disturbances in the connection, particularly in underground spaces such as subway stations, where a cord-free product encounter lots of interference. Question: When do users want to wear the Gear IconX the most? Answer: Gear IconX can be used whenever people want to listen comfortably and cordlessly – while they’re commuting or relaxing at home, for example. Users can really focus on getting the most out of their exercise. Samsung Gear IconX has many features which make it suitable for wearing while working out. Because the earbuds can store tracks and playlists, they can function independent of a smartphone, so users aren’t distracted by a screen. It’s sweat-resistant, ergonomically designed and features the Standalone Running Coach to help users maintain their pace. In addition, auto run/walk tracking give up-to-the-moment information about distance and speed. People often listen to music while exercising, and Gear IconX’s fitness features have been positively received by users. Question: What has the consumer reaction to the Gear IconX been like? Answer: In the days since the launch, the early reactions from users have been pleasing to us as planners and designers, who worked hard to achieve them. Tech reviews have been shared widely, piquing the interest of the general public and consumers. Tech-savvy users have also provided insightful commentary on how to use the Gear IconX. Since this Samsung Gear IconX is new to the market, their considerations are a useful resource for both consumers and Samsung.